Actually the weave is 12 in 2 . In 8 in 2 each ring is attached to only one ring from adjacent rows. 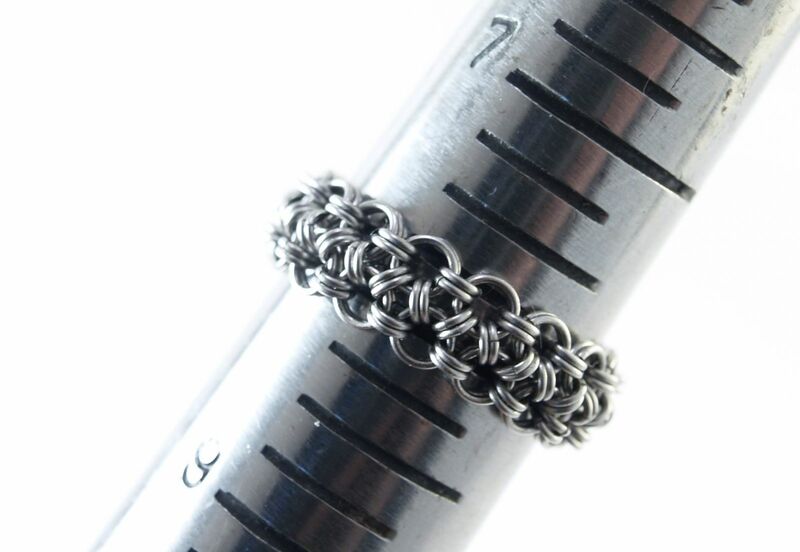 There are only 8 rings going through each horizontal ring, not 12, because both rows are edge rows.